The New Jersey Board of Public Utilities (BPU) released on June 6 the FY18 Straw Proposal for NJ’s Clean Energy Program (CEP) Comprehensive Resource Analysis (CRA) and the proposed FY18 program budgets and compliance filings for stakeholder and public input. Through the CRA process, the CEP funding levels for energy efficient and Class I renewable energy programs are established. The proposed funding level will fully fund the core CEP programs that help residents, businesses, and state and local governments reduce energy usage, save money and improve the environment. 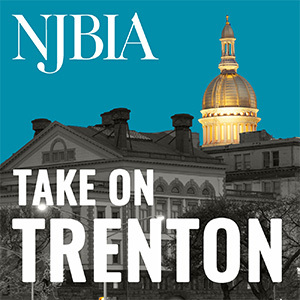 NJBIA is seeking the input of our members on this budget and appreciates any comments being emailed to Sara prior to the June 16 hearing. The CEP serves a vital role in enhancing the competitiveness of New Jersey’s economy by ensuring that businesses, from a small, family-owned business to Fortune 500 companies, can conserve energy and reduce energy costs, while delivering environmental benefits and supporting job creation. On the residential side of the CEP, the program also serves the vital role of ensuring that residents can conserve energy, reduce energy bills and help the environment, while supporting and creating well-paying jobs. By providing financial incentives, along with programs and services that encourage energy efficiency and renewable energy projects, the CEP supports the goals of Governor Christie’s Energy Master Plan. FY18 CRA straw proposal and the FY18 program budgets and compliance filings are available at: http://www.njcleanenergy.com/request-for-comments. The public hearing on the FY18 CRA Straw Proposal, along with the proposed FY18 program budgets and filings, will take place on June 16, 2017, at the Department of Environmental Protection, 401 East State Street, Trenton, NJ – Public Hearing Room at 10:00 a.m. A brief presentation will be held on the CRA and the budgets and filings. In addition, comments will be accepted through 5:00 p.m. on June 20, 2017.